Jamesburg, NJ - Dynacycle, a HIGH PERFORMANCE 20W-50 engine oil, is specially formulated for oxygenated engines (air cooled) to provide superior lubrication under the most demanding and severe operations. Its outstanding low temp fluidity ensures easy cranking and excellent post startup protection. expect improved fuel mileage and extended engine life. Do not use as Break-in oil! Record Holders Use Dynacycle Oil. Daniel Dunn, owner of NRHS V-Twin Performance and his NRHS Race Team have set the record for the "Fastest American V-Twin" at the Bubs at Bonneville, 5 of the last 7 years, including 2009 when they broke the record going 186+ mph. During their dynamometer pre-race testing, Dan was able to document Dynacycle Oil outperformed Amsoil MCV among other oils. The test, conducted on a Dynojet 168 / 188 dynamometer using a 2007 Harley-Davidson Sportster 1250cc as a mule, measured an increase of an additional 1.6 more horsepower, 1.8 more pounds of torque, and ran 10 degrees cooler just by changing the oil to Dynacycle. Worlds Fastest Nitro Harley Using Dynacycle Oil. Takeshi Shigematsu of Ehime, Japan, aboard a Don "DJ" Johnson (of American Cycles)-prepared motorcycle, dazzled fans with the quickest side-by-side Top Fuel Harley run ever. Shigematsu recorded a 6.13, unofficially the quickest nitro Harley pass to date. 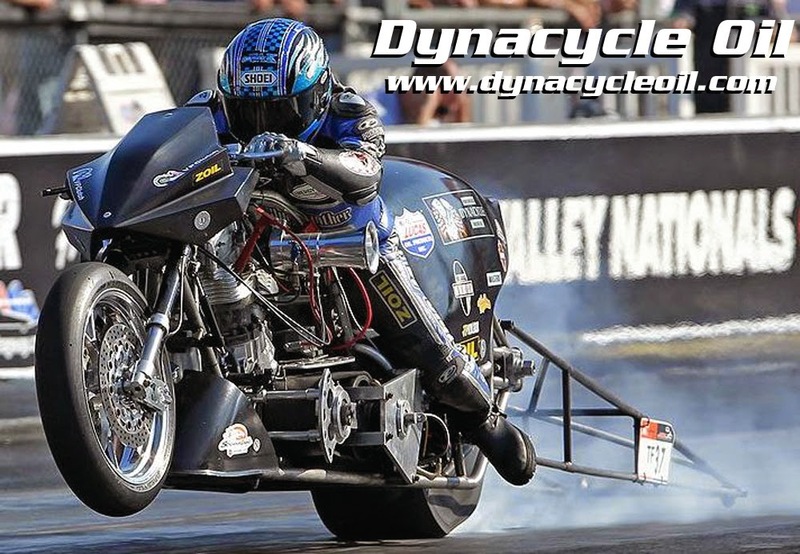 Dynacycle Oil is superior on the street, the track and on the dyno. Dynacycle Oil works great in everything from your stock Harley to your big inch high performance custom. 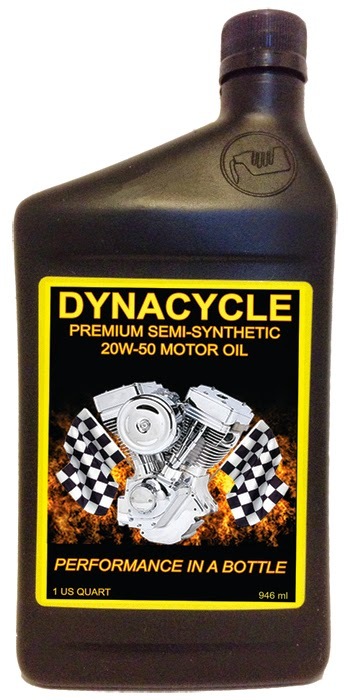 Dynacycle Oil out performs all the top selling motorcycle oil's on the market today. Don't be fooled by the big name oil products...Use Dynacycle Oil for superior protection and performance! Want more horsepower, torque and a longer lasting engine, try Dynacycle Oil. Call Dynacycle Oil at 732-605-9003, email them at info@dynacycleoil.com or check them out online at www.dynacycleoil.com.